It’s obvious marketing isn’t free, but doing it effectively doesn’t need to break your bank account either. Whether you’re refining your target audience, promoting services or simply enhancing communication with your customers; you’re better off putting together feasible strategies to market your business, rather than spending a fortune. 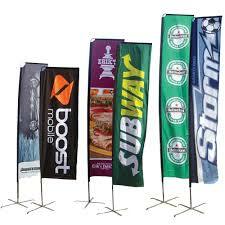 Using advertising flags is an inexpensive, long-term investment, and a sure way to catch the eye of anyone passing by. We provide Flags Printing in Dubai.